A minimalistic and smart ladies' timepiece by Rotary. The Kensington model presents a pure white dial with rose gold tone outlined hour markers with swarovski crystal accents, and three hands powered by quartz movement. 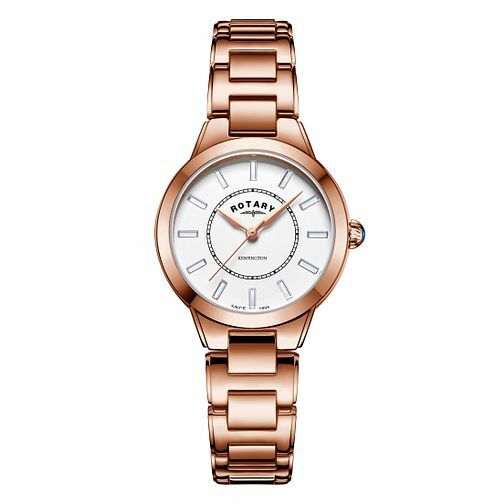 A sleek round rose gold plated case and bracelet complete this watch, chic style for the sophisticated lady.